Out for revenge, Crossbones pursues Captain America in Marvels Civil War movie. 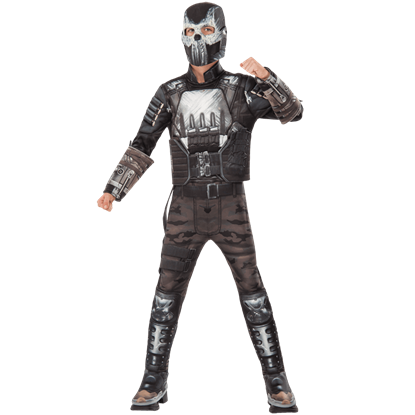 The Adult Crossbones Costume Top and Mask Set is a fantastic option, ideal for effortlessly and comfortably dressing as this wicked supervillain. For some characters, the mask is what really makes the costume stand out. 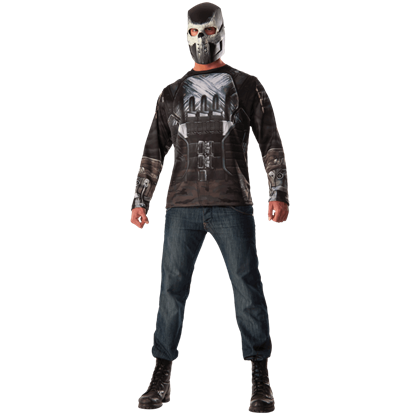 The Adult Crossbones Half Mask is an absolute must-have when it comes to dressing up as this vengeful supervillain from the Captain America Civil War movie. 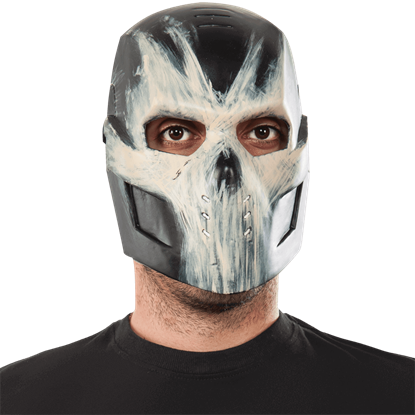 If your child loved the look of the vengeful Crossbones from Captain America Civil War, then the Kids Crossbones Half Mask is a fantastic and effortless way to get the eye-catching, tactical look of this dastardly Marvel supervillain. Out for revenge against Captain America, the villainous Crossbones pursues the hero in the MCU movie, Civil War. 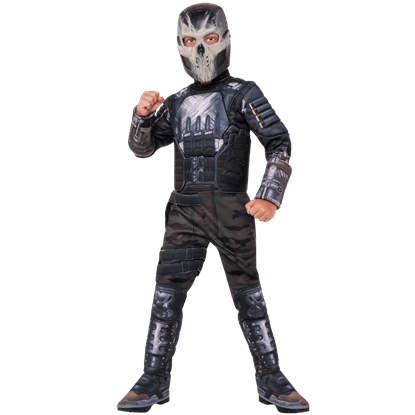 If your child loved the look of this masked scoundrel, then the Deluxe Kids Crossbones Costume is sure to delight.